Lighting By Hammerworks Copper Ceiling Lights combine quality craftsmanship and practical function. The hexagonal shape and simple style of the 1032FF Flush Mounted Ceiling Light sets it apart. The design of our 1032FF Antique Copper Ceiling Lights adds a unique ambiance. Most importantly it is a versatile option for any room. 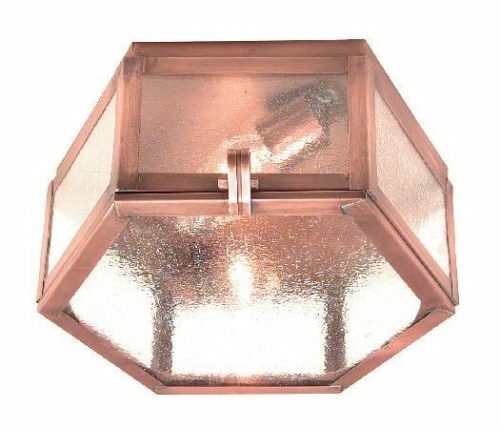 Therefore from kitchens and bathrooms to hallways and family rooms you will find a place for these unique Copper Ceiling Light. 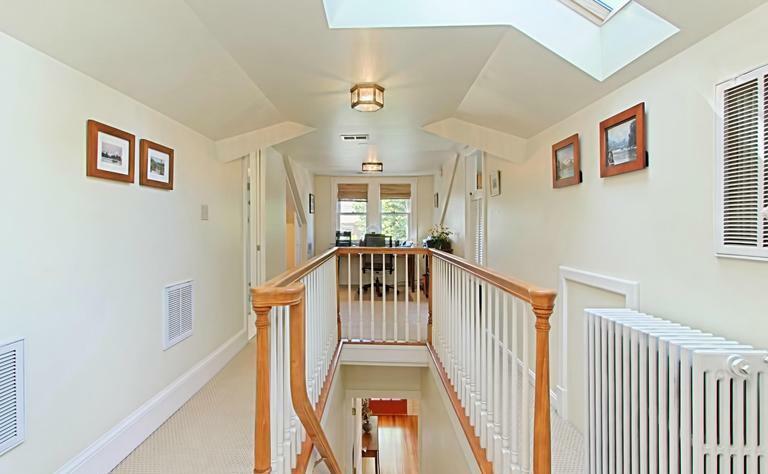 Most importantly its’ simplistic look blends well with a variety design styles from Colonial to Contemporary. Of course we offer these Colonial Ceiling Lights in a variety of size and finish options. In addition to Antique Copper, you can choose from Antique Tin or Brass, as well as custom finishes of Verdigris Copper and Painted Black. Also each Colonial Ceiling Light is equipped with 2 medium base light sockets, rated for 60 watts each. Standard glass options include a choice of clear seedy and white opalescent. 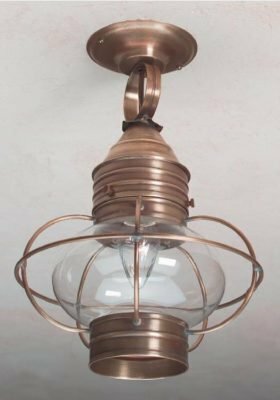 For added convenience Copper Ceiling Lights are easily combined with any of our Colonial Wooden Chandeliers or Rustic Antique Primitive Colonial Wall Sconces to complete the look of your room’s decor. In addition to Colonial Copper Ceiling Lights we offer handcrafted Antique Tin Ceiling Lights. Available in either an 8″ or 10″ square style these rustic style ceiling light fixtures are sure to please. In addition to antique tin you can choose from antique copper, brass, verdigris or painted black Finish Options. 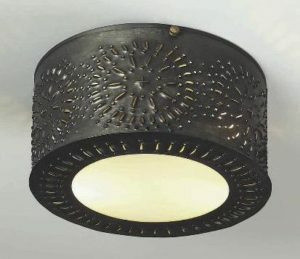 We make each Primitive Design Ceiling Light with two 60 watt rated medium base sockets. In addition we offer a choice of clear seedy or white opaque glass. If you prefer a more contemporary look we can eliminate the rustic crossbar grid design on this handcrafted ceiling light. Also available is the CL114 Tin Ceiling Light with Seedy Glass. This rectangular Flush Mounted Ceiling Light Fixture measures 8″ X 12″ X 5.5″ high. The simple “X” grid on all sides adds a little flair to the simple style. 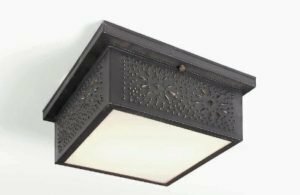 In conclusion Hammerworks collection of handcrafted Colonial Ceiling Lights offers a wide range of style and finish options to meet your needs.